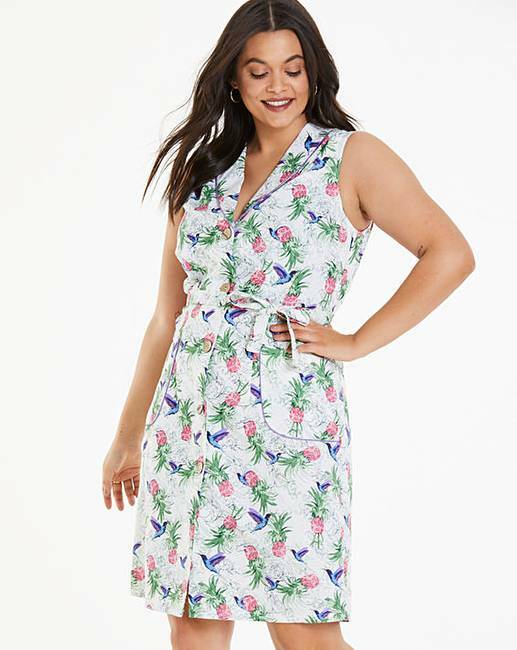 Exclusive to us in sizes 12-32. 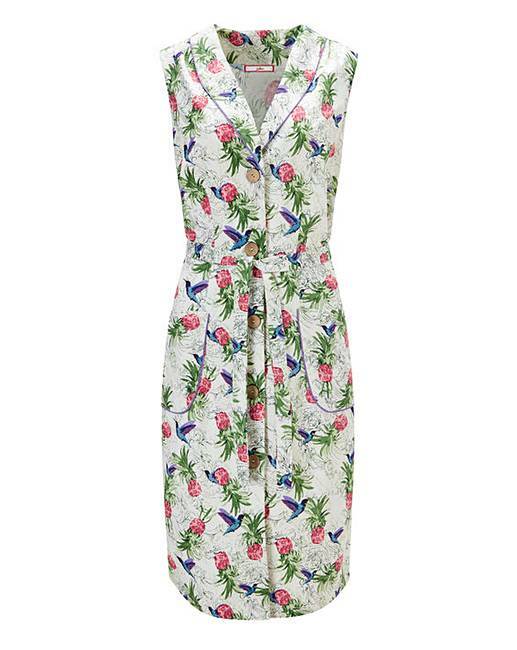 Feel all the romance of summer in this linen mix, beautifully muted floral apron dress. 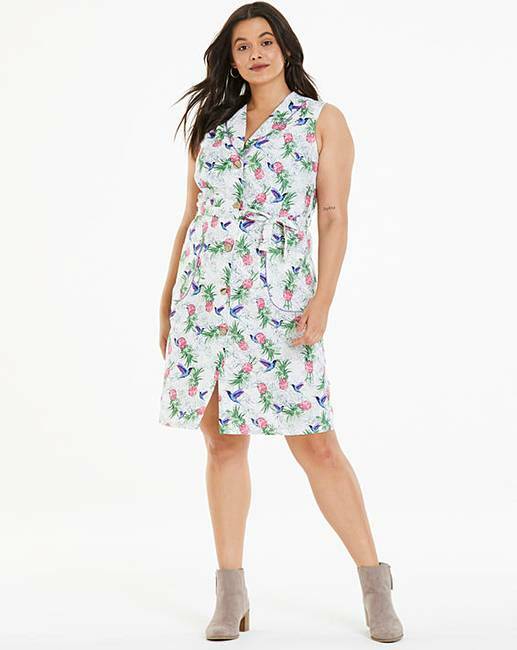 Soft and light with large patch pockets and flattering tie belt to give you the perfect silhouette.